I am so excited to share this card today! I have actually had the design in my head for quite some time and just got around to actually creating it. My vision for this one wasn't absolute, I knew it would involve playing around a bit, but I LOVE how it turned out in the end! I created this one for the Paper Smooches Sparks Anything Goes Challenge and the Virginia's View Dies Challenge. I hope you love it as much as I do! I began by working my Big Shot to death. LOL! 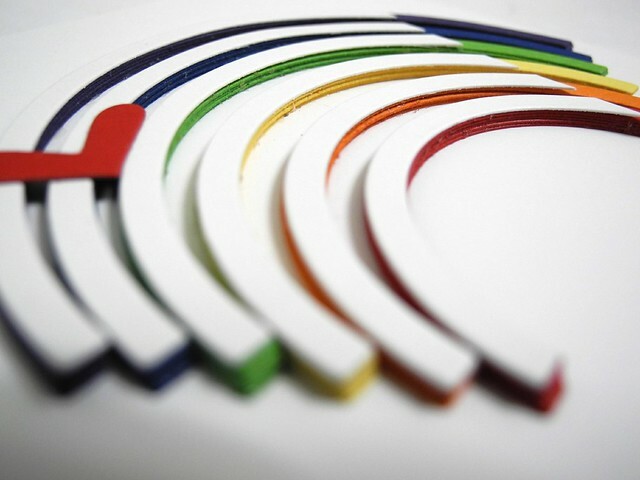 I die cut the rainbow five times in each color, and then once in white. Yes, that means I ran that sucker through the machine a total of 26 times. A crafty girl has gotta fit a workout in somewhere, wouldn't you say? HA! I then stacked the colors and covered them with white. I debated the peek on the edges or just keeping the front all white, but decided, in the end, that I like the bit of color showing on the front, although, the color glow created beneath the all white is REALLY freaking cool, you guys. For reals. I kind of love that. From the top and the sides... dude...I seriously love this card from the top and the sides. It just looks SO COOL! Thus, you are about to enter photo overload. Just an fyi! HA! Just LOOK at that glorious color! Mmmmm.... I do so love a wonderful rainbow! I also chose to do the colors in reverse order on this one. I think it makes it a bit unique and interesting and I like interesting. This card is done entirely in Paper Smooches dies - Look ma! No stamps! HAHAHAAA!... See what I did there? *sigh* I know. That was terrible. Anyway... Paper Smooches dies. They rock. You can find the links to them below. You can find links to all of the products I used below. Ditto what Amy said, "WOWZA!" Your efforts really paid off. Thanks for all the pictures showing the various angles, although I'm sure they didn't do this card justice. Very cool!!! 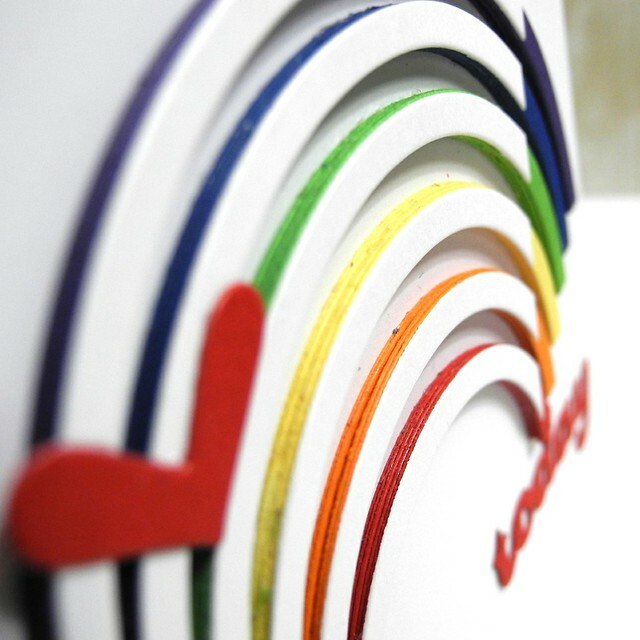 Love your rainbow! clever designing.. this is FABULOUS..
oh wow! I can see why you love it! I love it too, rainbows are my favorite! This looks so amazing! I just keep looking at the photos again and again, like I can't believe how awesome it is. It's a good one! So this is what you've been planning with the die cuts - UBER FANTASTIC!!!! I LOVE this!!! 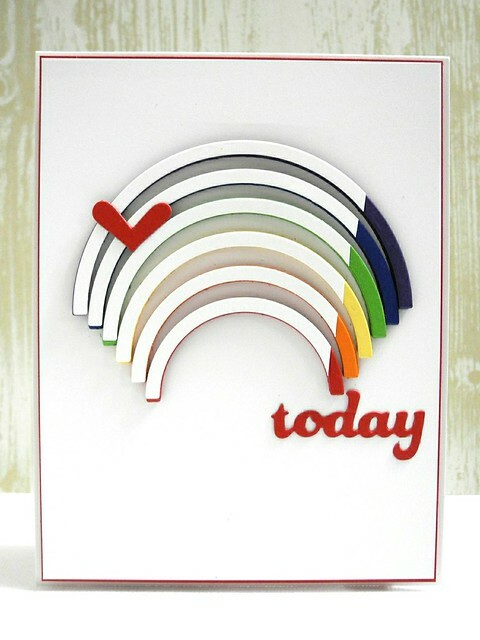 so much rainbow fun, this card must weigh a ton too!!! Wow, I am totally loving this fabulous design! Cool, cool card! Absolutely love the rainbow showing in the right side... love to see the details, too. You rock! Aw...my gosh! I love love how you layered the dies! It's absolutely spectacular!! I am glad that you had this "vision" and carried it out so splendidly! Thanks so much for playing Virginia's View Challenge! This card totally ROCKS! LOVE it!!! 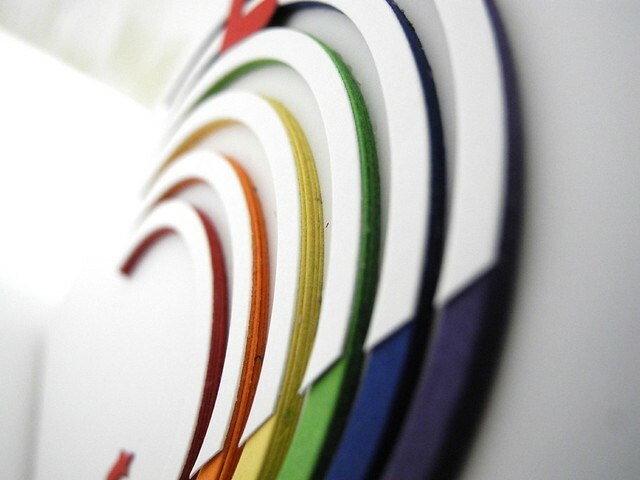 Hi Jingle - fabulous card - love all those colorful layers! I adore you rainbow - very creative. Absolutely fantastic - I am definitely going to CASE this idea. Love it! Wow... what a fabulous card! The layered die cuts are amazing!! Congrats on your PS win! Your card is just amazing! TOTALLY AWESOME card - LOVE IT ALL!!! CONGRATULATIONS on winning this week at Paper Smooches too!!! WOW!! This is awesome!! I LOVE how you designed that fun rainbow!!! OhWOW! This is amazing. I love what you did with all the stacks & the little peek of color on the ends. Thanks for sharing your fabulous style.